The historic Sydney and Melbourne Buildings have a special place in the hearts of Canberrans. 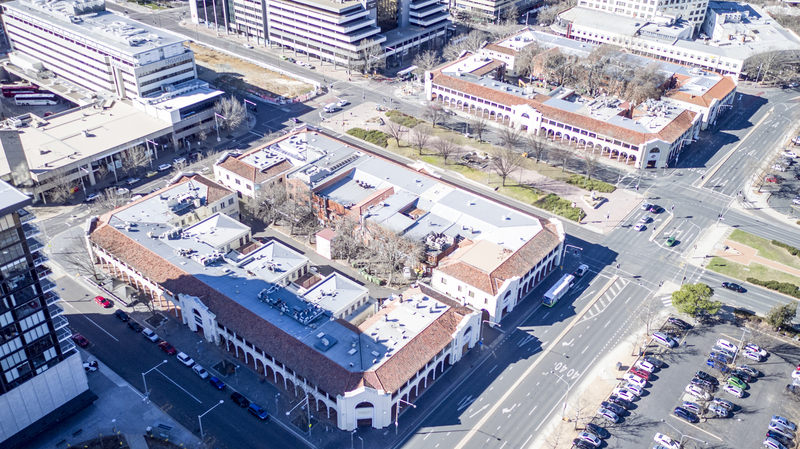 Built in the early stages of Canberra’s formation, the buildings sit right in the heart of the city centre on either side of the main entry road into the national capital. In recognition of the importance these buildings hold in the physical and cultural history of the city, the ACT Government has tasked the City Renewal Authority to act as the key liaison between Government and owners of the iconic Sydney and Melbourne Buildings to encourage and support revitalisation of these significant heritage sites. The Sydney and Melbourne Buildings are situated at a prominent city gateway site around London Circuit, Northbourne Avenue, Alinga Street, East Row and West Row. To restore the iconic buildings, the City Renewal Authority is developing a plan for the revitalisation of the Sydney and Melbourne buildings and surrounding public realm. One of the first steps in the revitalisation of the buildings and surrounding areas is the construction of two new waste enclosures in each of the laneways (Verity and Odgers laneway) to reduce the number of bins from more than 80 to about 12. The waste enclosures will help to clean up the laneways and also encourages activity in these areas. In the coming months, expect to see the waste bins removed from the area and the waste enclosures installed. Each of the two waste enclosures will house communal bins for the building’s tenants to use on a ‘user pays’ basis. In the creation of these waste enclosures it is anticipated that business owners will collaborate for the continued operations of this service. This will create the potential for the laneways to be transformed into an attractive by-way in the city for refreshment, entertainment and enjoyment. Future revitalisation efforts of the Sydney and Melbourne buildings will occur in partnership with building owners and tenants.